One of the most beloved luxury coupes of the 20th century, the Mercedes SEC comes back to life. With a twist. The SEC badge is said to adorn not a classic GT, but a 4-door Coupe sloted in the S-Class family. Georg Kacher of Auto Bild and Car magazine fame has spilled the beans on Mercedes’ plan to fill the last available niche in the S-Class range. It won’t come until the next decade, though, sometimes around 2021 or 2022, in the shape of a next-gen S-Class derivative – codenamed S82. The W223 S-Class will debut in 2020 as a 2021 model. The new Mercedes SEC S82 will join the S-Class sedan, S-Class Coupe, S-Class Convertible, S-Class Maybach and S-Class Pullman in what is already the biggest line-up in the entire luxury segment. According to Kacher, the future Mercedes SEC won’t stray too far from the S-Class sedan in terms of styling. On the contrary. The dramatic profile resembling the smaller CLS won’t feature on the menu. For cost reasons, Mercedes will simply attach the front and rear ends of the future S-Class Coupe to the center section of the long-wheelbase future W223 sedan instead. Take all this with a grain of salt, though, as cost cutting at the upper echelon of the luxury segment just doesn’t sound right. Why SEC? 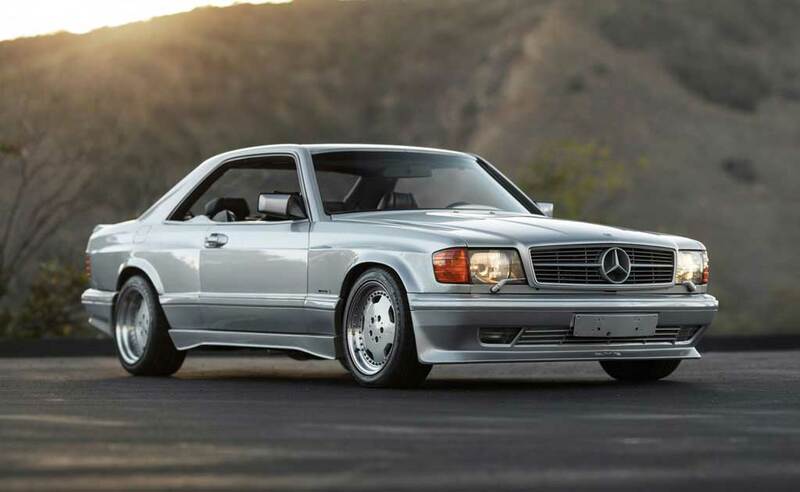 The beloved three later badge has been associated with Mercedes’ top coupes for 12 years, between 1981 and 1993, having been abandoned subsequently in favor of the CL and the S-Class Coupe acronyms. If the W140 from the 90’s doesn’t resonate very well with the Mercedes fan base today, its predecessor, the W126 based Mercedes SEC, still holds an important place in their hearts – owing to its incredibly svelte silhouette and pillarless design. Looking forward to see its modern interpretation? Shoot out in the comments section below.